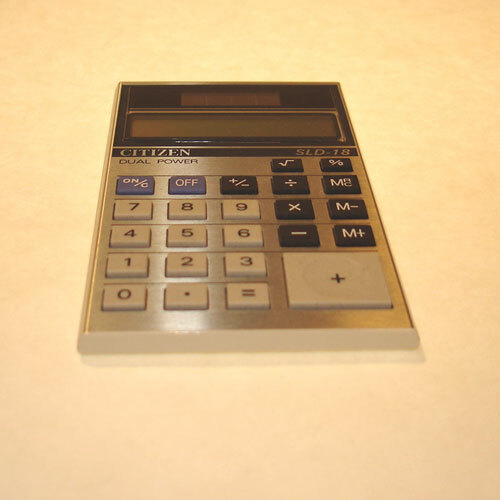 Consisting of a working Audio Surveillance Transmitter, the Calculator Transmitter is built into a functioning desktop calculator. The transmitter can monitor conversations and send them to a receiver for a control officer to either listen to or connect to a digital voice recorder, voice logger, or multi-channel receiver recorder for evidence gathering. This audio bug can be left on a table or counter, and moved from room to room, operating freely in an office environment where no one would suspect a calculator is housing a monitoring transmitter. Our covert audio bugs function regardless of whether or not the calculator is in use. Radio transmissions are powered by the calculatorÃ­s battery.